Great things come in small packages. 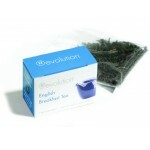 The T-Box Revolution is our award-winning single serving box with one hot tea Infuser Bag tucked inside. 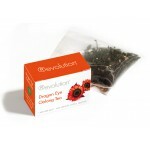 Each serving is sealed for freshness and is an ideal way to enjoy your favorite black, green, white, red or herbal tea whether at home, in your office, restaurant or wherever your travels may take you. 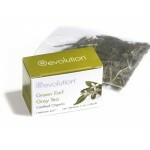 Available in 16 flavours and packed per 30 little boxes. 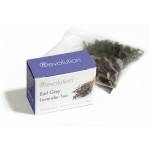 Somewhere between a green and black tea, Dragon Eye Oolong begins with the finest qual..
Revolution Tea's award-winning Earl Grey Lavender adds a unique twist to a popular fav..
Revolution Tea's English Breakfast is made from the finest quality Ceylon and Assam bl.. It's time to relax with Revolution Tea's Golden Chamomile, a delicious blend of whole ..
Made from Organic Chinese Sencha, this blend will forever change the way you perceive ..